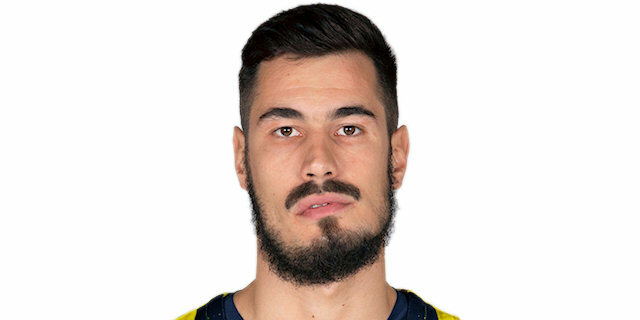 Fenerbahce Beko Istanbul showcased a stellar defensive performance to start the Turkish Airlines EuroLeague Playoffs, beating visiting Zalgiris Kaunas 76-43 to take control of their best-of-five series. It marked the largest EuroLeague Playoffs win in Fenerbahce history and the fourth largest all-time, while Zalgiris set a club low for points scored in a EuroLeague game. Fenerbahce took the lead for good by finishing the first quarter with a 6-0 run and then used two more runs - 8-0 and 7-0 - to build a 38-21 halftime lead and never looked back. Nikola Kalinic led Fenerbahce with 16 points, Marko Guduric had 13, and Erick Green netted 12 points in a victory. Marius Grigonis was the only Zalgiris scorer in double figures with 10 points. Guduric and Aaron White each scored first 5 points for their respective teams, including a triple apiece, before the visitors used a three-pointer from Arturas Milaknis during a 0-8 run to take a 9-13 lead. 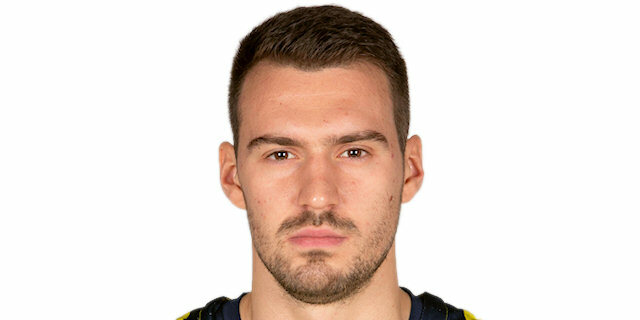 Fenerbahce's Jan Vesely and Nicolo Melli already found themselves in foul trouble, but Kalinic hit a jumper and Luigi Datome a corner triple to restore the hosts' lead, 15-13 after 10 minutes. A triple from Kalinic kept Fenerbahce in front before the same player added a pair of layups to extend the margin. Three-pointers form Ali Muhammed and Guduric pushed the difference to double figures, 31-19. Grigonis had a tough runner to end an 8-0 run, but Muhammed nailed another three and Guduric drove the baseline for a huge dunk as Fenerbahce finished the quarter with a 7-0 run to open a 38-21 halftime lead. Zalgiris held the hosts without a field goal for more than 3 and a half minutes to start the third quarter, but when Kalinic ended the drought, he increased the margin to 42-24. Grigonis had a three-point play and Leo Westermann nailed a baseline jumper to cut into the deficit, but Kalinic knocked down a three-pointer and Kostas Sloukas drove to the basket as the difference went up to 49-30. Green extended it some more and Melih Mahmutoglu hit a last-second triple to give Fenerbahce a 59-35 lead going into the fourth quarter. The margin kept growing as Green and Datome hit from long range. Green's jumper-plus-foul made it 68-39. Fenerbahce never stopped, kept the intensity even when players from the end of the bench took the floor and registered a huge win. Zalgiris had never scored fewer than 50 points in a EuroLeague game this century and Fenerbahce had never allowed fewer than 50 points before, but the 43 points scored by Zalgiris set a new mark for both teams. Also, 43 points were the second-fewest scored in a playoff game this century, behind only 41 by Montepaschi Siena in Game 1 of 2010-11 playoffs against Olympiacos Piraeus. Zalgiris had a better start to the game, led 9-13 and forced Coach Zeljko Obradovic to call a timeout. In the next 12 minutes and 46 seconds of the first half, Fenerbahce went on a 29-8 charge in building a 38-21 halftime lead and Zalgiris never came closer than 14 the rest of the night. This game was the 200th EuroLeague appearance for Jan Vesely, but he will not remember it for anything other than playoff victory. He played less than 10 minutes and had fewer points (2, both from free throw line) and rebounds (2) than turnovers (3) and personal fouls (4). 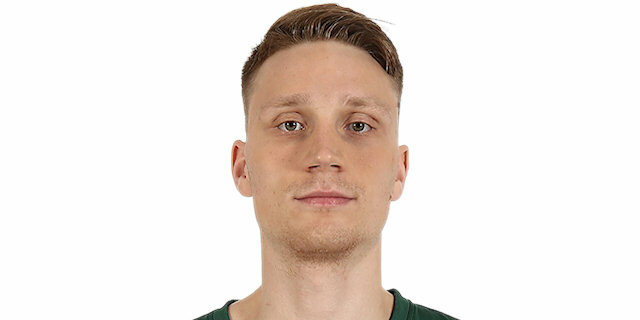 Marius Grigonis had made 54 straight free throws coming into this game and made one in the third quarter, but then missed both free throws with 20 seconds left in the third quarter. It ended his streak at 55 consecutive free throws made, 3 shy of the all-time record of 58, set by Igor Rakocevic in January 2009. These two teams meet again on Thursday for Game 2, in less than 48 hours. Fenerbahce will be the host again, before the series moves to Kaunas for Game 3 on Tuesday, April 23. "The difference does not matter, it is important that is 1-0. I told my players, it can be a 1, 11 or 20 point-difference, it is all the same. It is just 1-0, we have to forget this to prepare ourselves tomorrow, because Zalgiris will play a different game on Thursday. I believe that we played very good defense. Defense gave us everything offensively, also. I insist that we have to play better offensively. It is true we opened a lot of three-point looks. Congratulation to the players for the first victory and these wonderful people that supported us the entire season and again tonight. 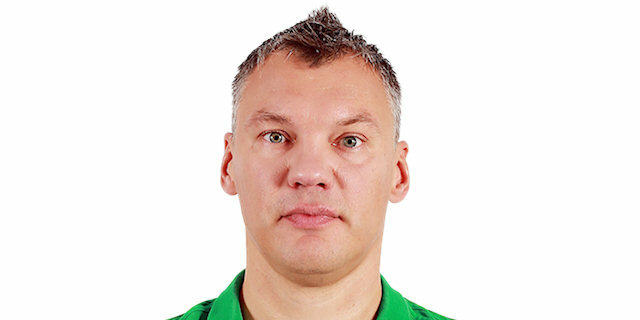 Yes, [we used everyone,] but if you watched, Jasikevicius tried to do the same. If you lead, everything is more easy. But it is obvious, playing every other day you need to care about that, have a fresh mind and fresh legs, if it is possible." "Congratulations to Fenerbahce. Obviously, they were better prepared and better coached. More importantly, they were the more physical team on the court today. It is most likely that experience played a big part. Unfortunately for us, we did not do pretty much everything that we decided we are going to do and we did not show the Zalgiris face of the last two months. We have a lot of work to do in the next 48 hours to come back and prepare ourselves the best way possible for Game 2. The difference is not important, it is 1-0 in the series for Fener. We have 48 hours to tell our players where we want to attack, in which way, the level of physicality again that took us out of some things, decisions of the guards with 23 turnovers mainly. 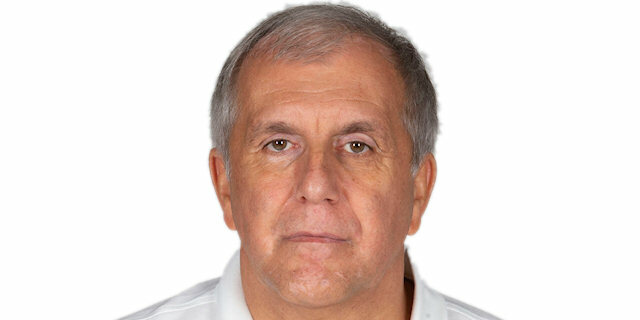 I don’t care about the past, this is 2019, Fenerbahce against Zalgiris, and in 48 hours we have Game 2." "Definitely we did not expect this much of a difference. But we were aggressive and we were tough and this is how we have to play. We expect them to respond and we are sure they are going to come out and play even stronger. We have to be ready, forget this game as quickly as possible, and be ready for Game 2." "We started great, with great energy, great hustle, great motivation, and those are the three most important things. Game 1 is in the books, in two days one more game here. It is going to be very tough, they are going to attack us, they are going to prepare something different, but we must be ready." "Everything was wrong today. They were better in every aspect of the game, but their physicality and level of contact was the key. We knew about it but didn’t deliver. We can and we have to be better. We will analyze our mistakes and will get ready for Thursday."